Have you selected the idea of impersonating exotic bird through your outfit this year? Maybe you will attend the party dressing up in the attire of showgirl of old time, bejeweled yourself by feathered boas. Even if you are intending to wear the costume of disco diva then this feathered eyelashes will be certainly perfect to wear as well. Choose from our collection of rainbow feathered lashes or solid-colored eyelashes to enhance the beauty of the look. These can be perfectly associated with outfits like disco divas, fairies or with any other costumes that reflect sparkle and sequins. Every single person of the gatherings will observe you every single as the glitter eyelashes never fail and look great almost on everyone. 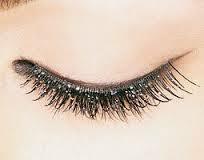 You can select from a variety of styles, don’t forget to buy eyelash glue that is considered to be safe for the application of false eyelashes.